News flash: news about Israel usually sparks controversy. This month we’ve got a healthy dose of chatter and discord around Iran’s nuclear program, settlement expansion, African asylum seekers, and more. On the flip side, Israel has airlifted assistance teams to the Philippines and brought much-needed disaster relief and humanitarian aid in the aftermath of the recent typhoon. ICYMI, make sure to read this incredible story about the birth of baby “Israel” in a field hospital. In the world of sport, though, there are a few highlights on the Israel front worth noting. For the first time ever, two Israel basketball players are plying their trade in the NBA this season. Omri Casspi has escaped the purgatories of Sacramento and Cleveland and is now playing for the Houston Rockets (along with Superman), averaging over 20 minutes and 8 points per game. Coming from years spent in the NBA doldrums of small-market lottery teams, it’s great to see him on the floor with some legitimate superstars. About 250 miles up Interstate 45, rookie Gal Mekel has cracked the rotation for the Dallas Mavericks, another perennial playoff team, to the tune of 13 minutes and 4 points per game. Given owner Mark Cuban’s Jewish heritage, maybe it wasn’t a coincidence that he landed in Dallas after his dominant season last year for Maccabi Haifa, in which he won the league MVP and led the team to its first-ever championship. 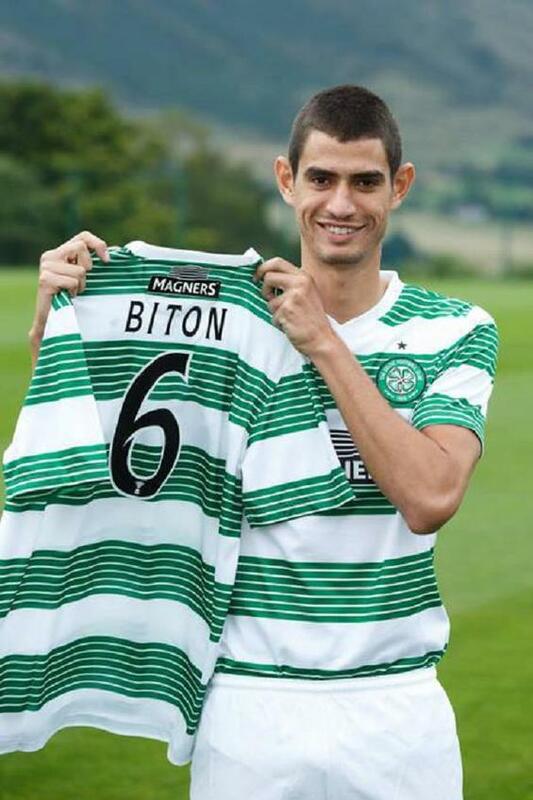 On the other side of the pond, after a year of rumors of transfers from FC Ashdod to the likes of Manchester City, defensive midfielder Nir Bitton completed a transfer to Scottish powerhouse Celtic FC. Despite the fact that Celtic is not the super-club that it has been in the past (including their historical quintuple in 1967), they are an annual lock for the Champions League and still play at a world-class level. While Bitton’s opening matches for Celtic were marred by a red card he received against Ajax, it’s a big win for Israeli football for Bitton to be playing for a legitimate European power. It’s also worth noting that while 22-year old Bitton is just getting his European career started, our old friend Yossi Benayoun seems to be on the cusp of deciding whether to sign a contract with Queens Park Rangers in London, or to play in Spain with Malaga. Wherever he signs, it will probably be the 33 year-old’s last hurrah in Europe before a return to Israel. On the gift front, yes, I did just order the long-sleeved Celtic away jersey with “Biton 6” on the back, and it should be here in time for Thanksgivukkah. But if you want to go ahead and get me a Casspi or Mekel jersey, hey, I won’t mind.